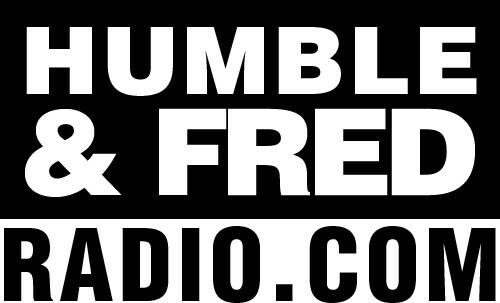 I've been hacking away at the new http://www.humbleandfredradio.com/, sending proofs to Humble and Fred to approve. The latest list of changes from the boys includes my absolute favourite customer request. Humble just asked me to make the logo bigger. Humble, this is for you. Uh...maybe it's me? I don't see a logo at all...all I see on the H&F site is a countdown. I haven't hit the switch yet. Soon, the countdown will be replaced by the new site.